The Paiz Group is very proud to be affiliated with one of the best Real Estate companies in South Florida, EWM Realty International. Because EWM has a strong local presence but national and international affiliations, your property is showcased throughout the globe. 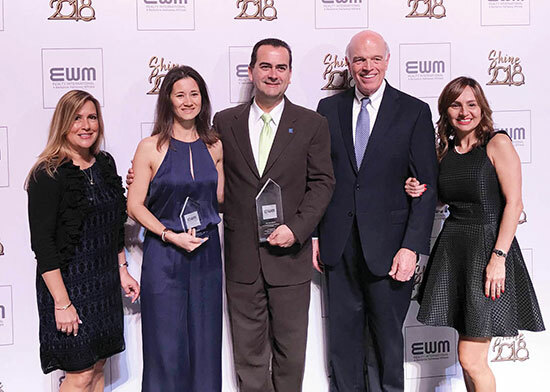 Recently, EWM was voted the #1 luxury broker in Miami-Dade County – four years in a row. As a company, we were proudly given that title by our peers in the industry! EWM has a London Affiliate, Mayfair International Realty, which markets your property throughout Europe.The properties showcased range from $250,000 and up. EWM is an exclusive affiliate of Christie’s International Real Estate, whose website is www.ChristiesRealEstate.com. Christie’s is affiliated with the auction house and we are an affiliate of their Real Estate arm. Established by James Christie 250 years ago, Christie’s conducted the greatest auctions of the 18th, 19th, and 20th centuries. Today, it is the world’s premier auction house and sets the standard for international art sales. Christie’s International Real Estate built its reputation on the rigorous selection of local brokerages. Our Affiliates are selected for their success in luxury property sales and their ability to meet strict standards of excellence. When awarded Affiliate status, they gain access to our programs, worldwide network of 136 Affiliates and more than 32,000 agents in 46 countries, and the expertise of the Christie’s International Real Estate regional management teams. Besides being an exclusive affiliate of Christie’s, EWM is also a member and principal owner of Leading Real Estate Companies of the World. Luxury Portfolio is the luxury arm of Leading RE. The “download full report” contains information regarding how EWM wins the competition against other companies. $372 Billion, in annual home sales. The brokers are the highest quality brokers in the business. The Paiz Group has the ability to refer clients through the network and know that they will get expert real estate assistance whether they are moving across town, across the country, or even the globe. In our market area, properties listed at One Million Dollars+ are direct-data fed to the Luxury Portfolio website as well as other affiliate sites. Your property is displayed on over 200 other Luxury Portfolio broker websites worldwide! Every facet of working with The Paiz Group and EWM is designed to make a world of difference and give you or someone you know absolutely the best real estate experience possible. Copyright 2019, Participating Associations/MLS’s in the SEFMLS, MIAMI Association of REALTORS, Realtor Association of Greater Ft. Lauderdale, South Broward Board of Realtors. All rights reserved. The data relating to real estate for sale on this web site comes in part from the participating Associations/MLS’s in the Southeast Florida Regional Multiple Listing Service cooperative agreement, MIAMI Association of REALTORS, Realtor Association of Greater Ft. Lauderdale, South Broward Board of Realtors. The information being provided is for consumers' personal, non-commercial use and may not be used for any purpose other than to identify prospective properties consumers may be interested in purchasing. Information is deemed reliable but not guaranteed. Copyright 2019, Participating Associations/MLS’s in the SEFMLS, MIAMI Association of REALTORS, Realtor Association of Greater Ft. Lauderdale, South Broward Board of Realtors. All rights reserved. Use of search facilities of data on the site, other than a consumer looking to purchase real estate, is prohibited. Data last updated 2019-04-21T20:40:43.863.